Following the lives of children at the Family School, a school for children who have been excluded from mainstream school which asks parents to come to school with their children. 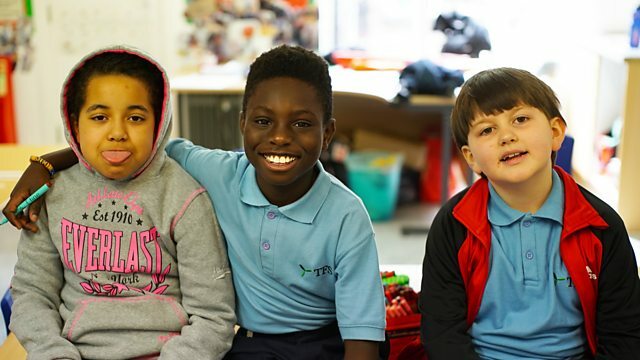 Documentary filmed over the course of one term following three children and their families at the Family School, a unique place set up by the Anna Freud National Centre for Children and Families. Here they give excluded children a second chance, but they ask parents to come to school with their kids, hoping that this will improve their behaviour. Seven-year-old Logan, eight-year-old Maia and nine-year-old Danish have all been identified as extremely challenging children. Maia and Danish were both excluded from school because their behaviour was so disruptive, and Logan was a school refuser for two years. Despite challenges in their own lives, their parents are committed to helping their children get back to school, but it's not always easy. As we learn, each of the kids has experienced turbulence and trauma in their young lives, and angry outbursts, rejection of authority and anxiety mean they are running out of options. This documentary follows the ups and downs of the families as they struggle to get their kids back to mainstream school.